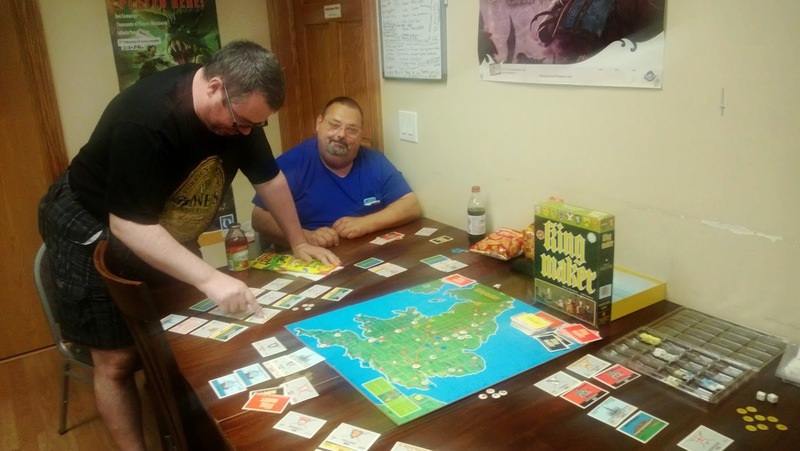 I like to get in a couple of games of Avalon Hill's Kingmaker every year if I can. 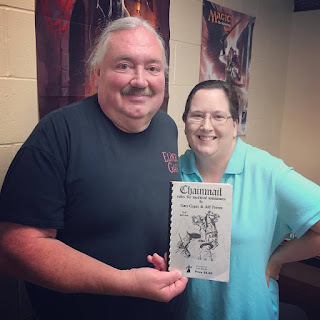 I played one at Gary Con in March, and just last week was able to play with two players who hadn't played in years (an d not much at all back then) and two other players who were utterly new to the experience. As always, I had some fun, for sure. There was some frustration on the part of the newer players who weren't used to older wargames, as the rules aren't always straightforward. And a couple of the rules were misremembered by me but we got them sorted out with no detriment to any players' strategy, so no harm done. Kingmaker simulates the Wars of the Roses, the period of sporadic Civil War in England between 1450 and 1490. Ruled by a weak and mentally unstable king, Henry VI, demoralized by the defeat in France at the end of the Hundred Years War, and encouraged by the ambitions of Richard, Duke of York, and his sons; the country's Noble families used their large private armies in attempts to gain control of the government. The game is based on the premise that the powerful Noble families used the Lancastrian and Yorkist princes as pawns in a greater game of gaining control of England. Players control factions using their military and political power to control and influence the royal heirs, supporting the heir in their control as king while trying to take down all of the other heirs. 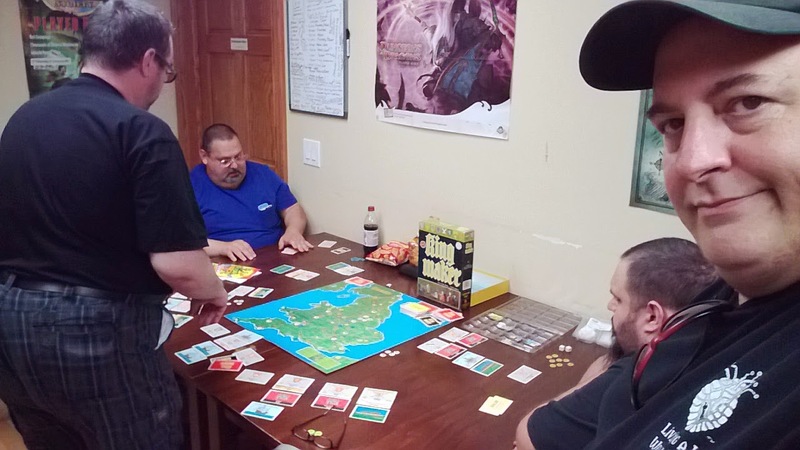 Of course, being a first time through, we spent some portion of the evening learning rules then had at one another to get the gist of the game, knowing full well we would not finish in the four hours we had to play. I wanted to give some idea of how an aggressive player can be rewarded but also takes risk, and mostly proved the latter. Nearly every battle I initiated wound up with one or more of my Nobles slain. It was a hoot as the others watched in anticipation with each card I drew. Great fun! I've also found a series of videos, and assembled a playlist of the seven of them, for a tutorial from the HistoryGamerDotCom YouTube channel. You can watch the presentation in a bit under an hour, if you are so inclined here. Enjoy!